The Abbey Church is the centrepiece of Dunfermline, one of the oldest settlements in Scotland and once its proud capital. 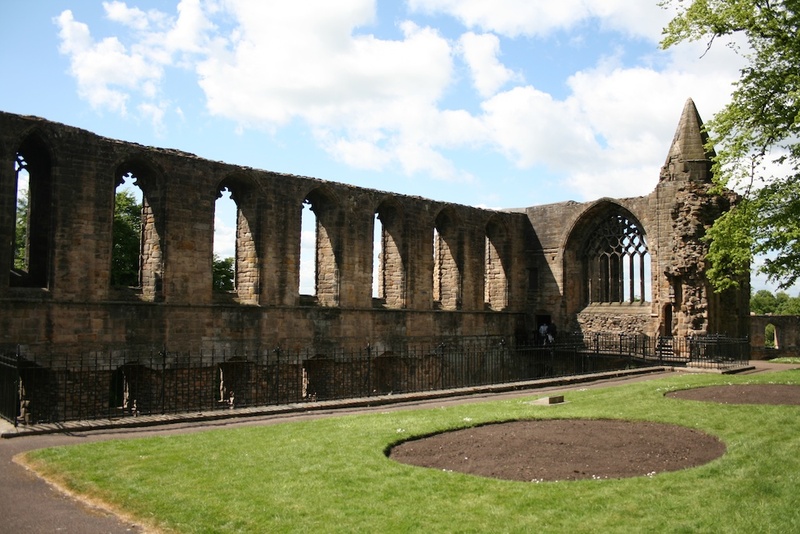 The history of The Abbey is entwined with that of Scotland itself, as Dunfermline was the burial site of the Scottish monarchs before the adoption of the island of Iona, and you will see many reminders and relics there of great Scottish rulers of the past. 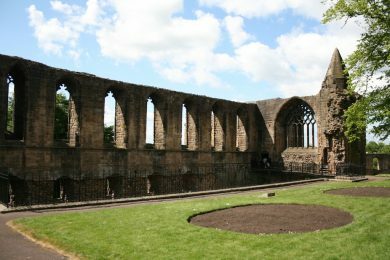 The Abbey and the ruins around it are all that remain of a Benedictine Abbey founded by Queen Margaret in the eleventh century. The foundations of her church are under the present nave (or `Old Church`), built in the twelfth century in the Romanesque style by David ) son of Margaret and Malcolm Canmore). King Robert the Bruce is buried here, and the tower of the church bears the words `King Robert the Bruce` in carved stone around the top and inside, beneath the pulpit, is the Bruce`s tomb, with its fine brass cover dating from 1889. Outside the east gable of the church is the shrine of Queen Margaret, a place of pilgrimage since the medieval times, and nearby are the remains of the other monastic buildings, including the large refectory and the ruin of the Royal Palace, rebuilt from the guest house of the monastry in the sixteenth century for James VI and his Queen. 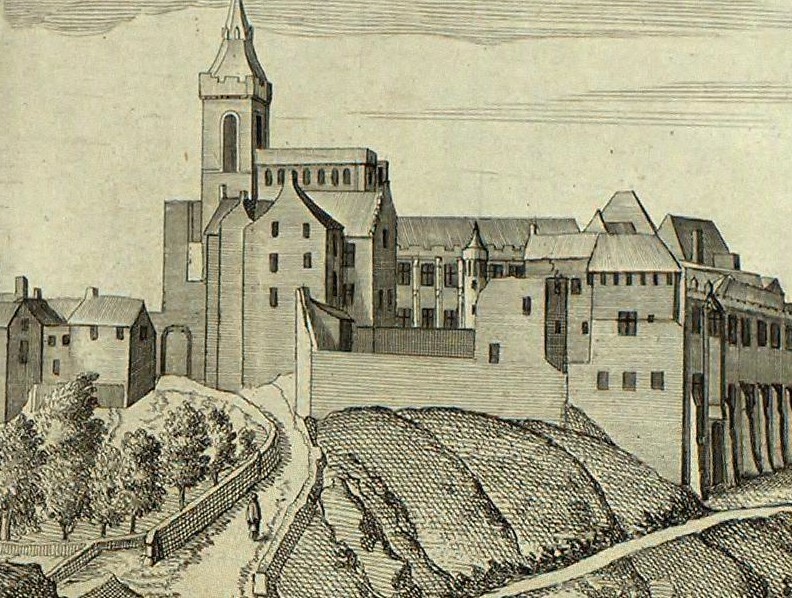 After the reformation Dunfermline ceased to be an Abbey, but since the nave of the church continued to be used as the local parish church, much of the Abbey has survived to this day. The present parish church, to the east of the Old Church, was added in the nineteenth century. Historic images from royaldunfermline.com (http://www.royaldunfermline.com/resources.html) under a Creative Commons Attribution-NonCommercial-NoDerivs 3.0 Unported License.